“Male is not the default gender for superhero,” said She-Hulk in her prose novel debut last year. And we completely agree. It’s good to see, after so many years, that writers are finally, ever so slowly, starting to address the gender gap in superhero fiction. Wave goodbye to Captain KnuckleDragger and say hello to Captain Marvel. But we’ve still got a long way to go before superheroes reach a tipping point of equality in comics, movies, and prose. And that’s why efforts like this are always a welcome sight. 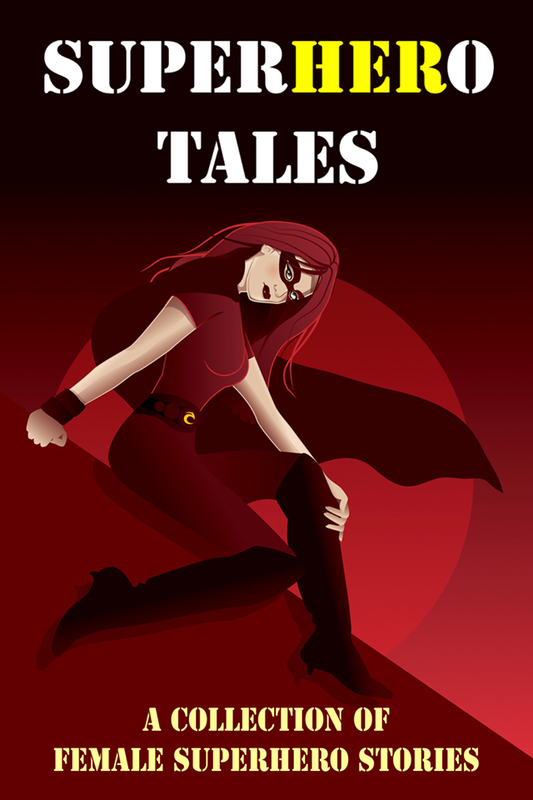 Superhero Tales (with an emphasis on superHERo) collects 27 short stories featuring a riot of female heroines. The boys, for once, can sit on the sidelines and cool their jets. Beyond the gender specificity of this collection, there are some common threads that appear throughout the book. Female superheroes like to wear baggy, comfortable clothing (nobody has an armoire filled with go-go boots and plunging V-neck outfits). They’re young, athletic, and possess superpowers that reflect their feminine nature. Overall, they’re generally empathetic and generous with an eye toward charitable endeavors. In addition: rainbows are awesome. We would love to recommend Superhero Tales but unfortunately we cannot. Mostly because the short stories in this collection aren’t even stories—they are stuttering false starts. Each author dutifully completes a dossier of facts pertaining to their superheroine (her name, her alter ego, her costume, how she got her powers, and “anything else important”) and then includes a frustratingly brief snippet (two-to-three pages) of narration that barely touches upon setting, situation, conflict, or resolution. Sadly, there’s very little dramatic structure whatsoever. Imagine reading an entire book written in bullet points. That’s sort of what we have here. Superhero Tales is available in an expanded edition that includes a handful of illustrations. Unfortunately, many of these drawings are lousy. If we’ve said it once, we’ve said it a dozen times: books should never include any sort of graphic element (design, illustrative, or otherwise) that isn’t one hundred percent professional. Amateur artwork will doom all publishing efforts to failure. That’s a fact. We’re a forgiving bunch and we’re hard-wired to love female superheroes. But we cannot celebrate mediocrity in any way. For a better example of superheroines in prose, we highly recommend a book called Chicks in Capes. The anthology from 2011 puts an emphasis on gender. But unlike Superhero Tales, it’s a legitimate compilation filled with stories by authors who provide insight and perspective on the superhero genre. It’s terrific. In fact, we’re still waiting (hoping?) for a second volume to appear sometime soon. This entry was posted in Published in 2013, Short Story Collections and tagged A Collection of Female Superhero Stories, Chicks in Capes, Rebecca Fyfe, Superhero Tales. Bookmark the permalink.